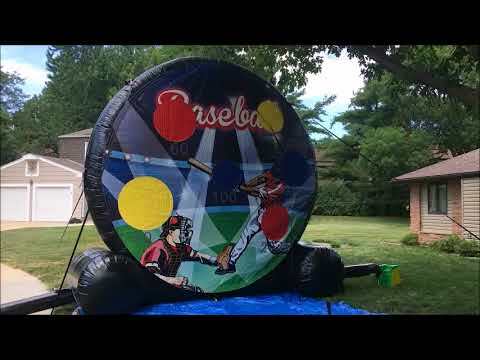 Giant Baseball Darts is the latest innovation in inflatable gaming. 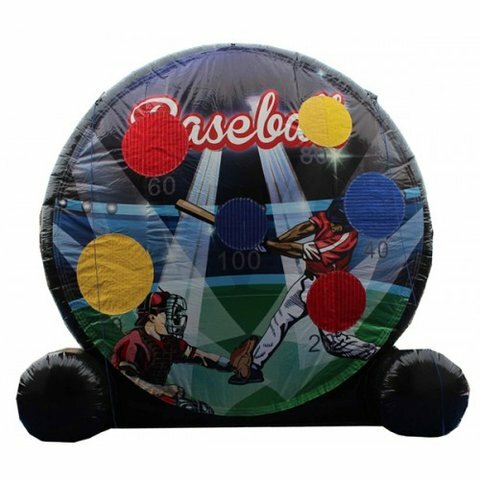 The oversized velcro wall comes with 6 velcro balls. Players kick the balls at the targets as each ball sticks to the board and earns points.